Visit us this Easter and receive a complimentary Lindt chocolate egg! 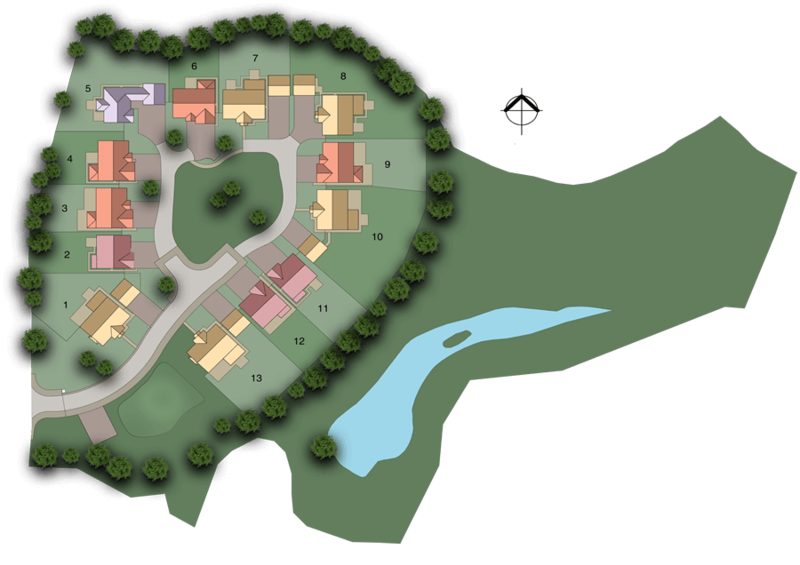 The four-acre site at Morpeth’s prestigious Fulbeck Grange offers a unique and secluded setting for these thirteen 5-bedroom detached luxury new homes. Enjoy the exclusivity of this private tree-lined development, surrounded by mature woodland and featuring an ornamental pond and stream. A choice of four house styles are offered, each presenting contemporary open-plan living spaces and a superior specification with sophisticated exterior styling to match the charm and elegance of their idyllic setting. 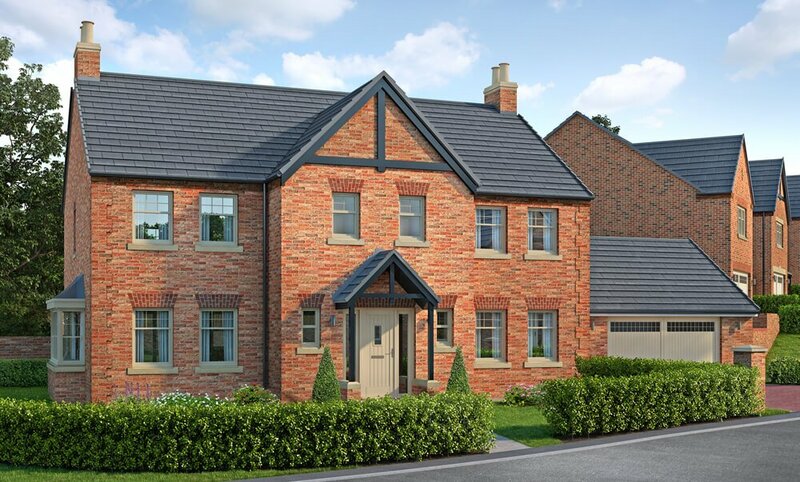 The Highgrove is a spacious 5-bedroom detached executive home with an abundant hallway and central staircase to impress on arrival. 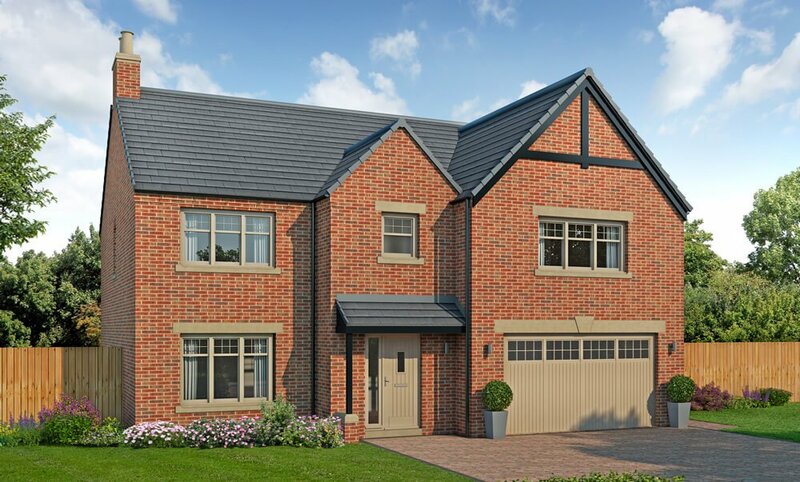 The Richmond is a spacious 5-bedroom detached executive home, with an extensive open-plan kitchen, dining and family area with bi-folding doors. 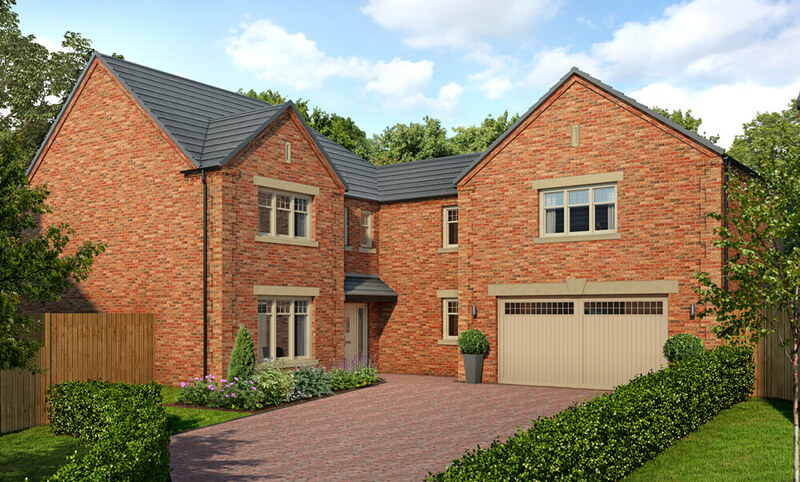 The Kensington is a spacious 5-bedroom detached executive home, featuring an extensive open-plan kitchen, dining and family area. 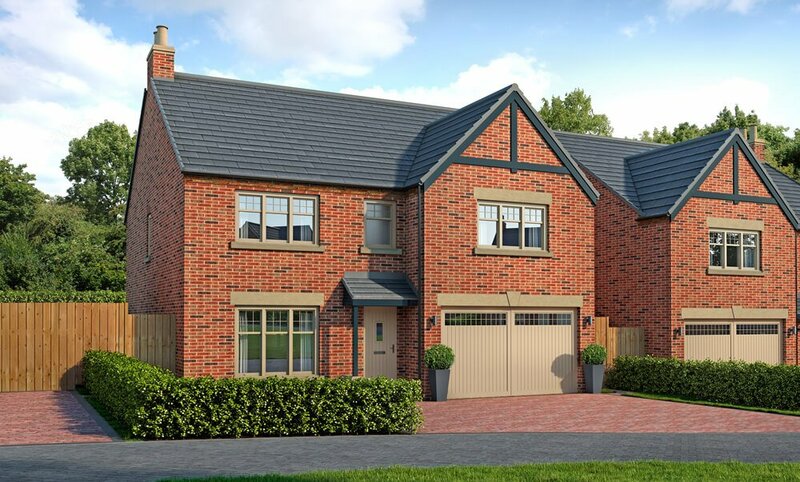 The Buckingham is a one-of-a-kind 5-bedroom detached home offering exceptional living space. Featuring a generous open-plan kitchen. The coveted Fulbeck area of Morpeth is enviably abundant with sweeping country lanes and mature trees, nestled amongst a bustling market town which caters well for quality shopping indulgences, plenty of historic doorstep culture and an active lifestyle with many sports clubs, cycling trails and family attractions. A fantastic place from which to commute, explore and relax, it’s no wonder Morpeth has been ranked by the Sunday Times as one of the best places to live in Britain. With the outstanding King Edwards VI Academy conveniently on your doorstep, as well as Morpeth All Saints Church of England First School, children at Fulbeck Grange will have privileged access to some of the best schools in the area. Opportunities are rich for further education too, with a choice of five well-regarded universities in the North East including Durham University, which is ranked 6th in the UK league table and features in the World Top 100 Universities. Ideally located close to the new Northern Bypass, residents can enjoy convenient access to the A1 for journeys through to Newcastle city centre and the beautiful Northumberland coast and countryside. If travelling by train, Morpeth’s very own train station has East Coast mainline services direct to Edinburgh and London, as well as Newcastle, Durham and many surrounding towns. For international destinations, Newcastle Airport is only 20 minutes away. Food and drink lovers will be spoilt for choice with a versatile selection of coffee houses, tea rooms, pubs and restaurants locally to suit all tastes and occasions, as well as sophisticated wine bars and traditional craft beer houses. Celebrating a special occasion? Indulge in the Georgian elegance of nearby Eshott Hall Hotel with its wisteria-clad statement building offering hushed candlelight and double rosette award-winning food for a truly fine dining experience. There’s culture a-plenty in the historic market town of Morpeth, which has retained the charm of its medieval years with the 17th century clock tower making a proud landmark for the community. Carlisle Park is a wonderful place for all ages to explore, right on the edge of the town centre with the magnificent backdrop of the River Wansbeck. For a quality shopping experience, Sanderson Arcade houses some of the UK’s best-loved brands, and there’s also acclaimed independent department store Rutherford. Sports enthusiasts can enjoy an active lifestyle as Morpeth has its own golf course as well as a rugby football club and tennis courts. There’s also the championship Burgham Golf Course in nearby Felton.